Private detective Easy Rawlins has been caught on the wrong side of the most dangerous secret in town. 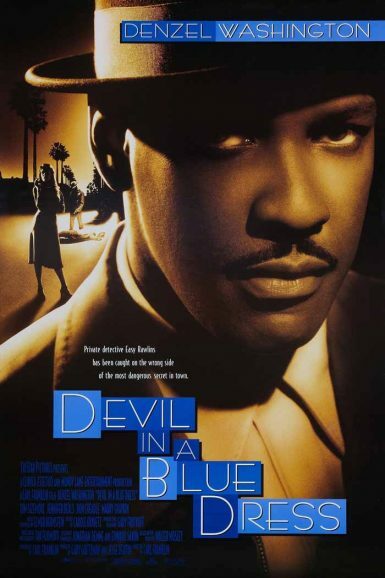 Denzel Washington stars in writer-director Carl Franklin’s mood-drenched adaptation of the Walter Mosley mystery set in post-WWII Los Angeles. Tasked with the seemingly simple mission to find a missing white woman who may be hiding out in the black juke joints along Central Avenue, he’ll soon be trapped in a quicksand of corruption and violence. Exquisite period detail, stunning cinematography by Tak Fujimoto, and a stellar supporting cast (Don Cheadle, Tom Sizemore, Jennifer Beals) highlight this shadowy, serpentine neo-noir.